Minister Lake toured the North Island Hospitals sites on July 20th, joined by Island Health Geographic Area 1 Executive Medical Director Dr. Jeff Beselt, Geo 1 Executive Director Dermot Kelly, Island Health Vice President of Planning and Operations Support Joe Murphy, and North Island Hospitals Project Chief Project Officer Tom Sparrow. 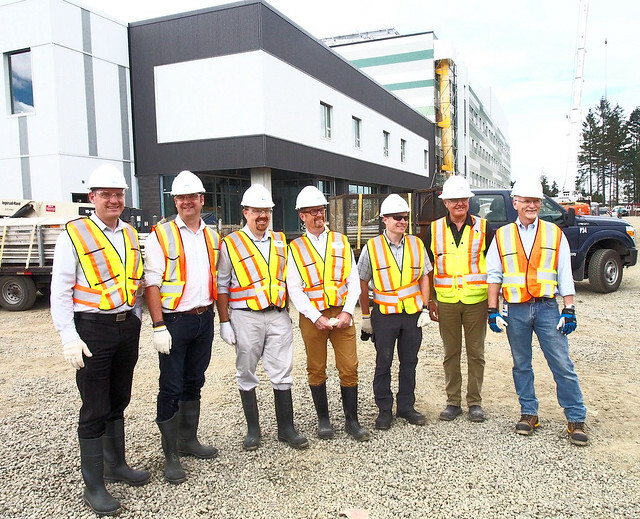 They were joined on the Comox Valley Hospital site tour by Comox Valley MLA Don McRae and Comox Mayor Paul Ives. Both hospitals are on time, on scope and on budget, scheduled to open to patients by late 2017.